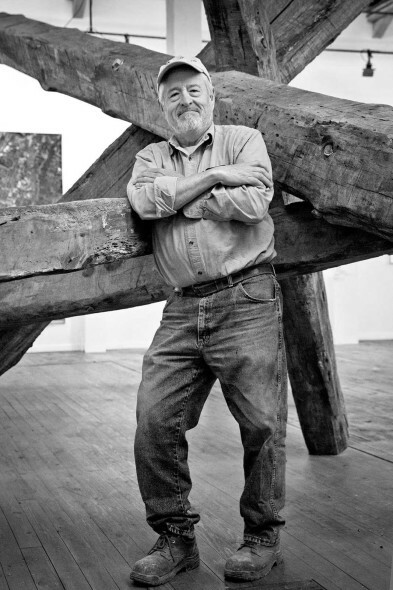 Though well known for his monumental sculptures, the artist John Henry has embarked on a second career as curator and park designer. He and his wife, Pamela, have been instrumental in creating Sculpture Fields at Montague Park, a 501c3 not-for-profit sculpture park beneath the stoic visage of Lookout Mountain in Chattanooga, Tennessee. Sculpture Fields is a 33-acre park in the heart of Chattanooga, created from an unused field adjacent to Henry’s studio in an industrial area of town. In fact, the park space has been in existence for many years, but with little care or attention. Originally donated to the city by the Montague family in 1911 to use as a park, the area fell into disuse for many years but has been revived in this newest incarnation. Henry’s studio, which looks out on the park, has been the base of operations for overseeing the construction, and it was there that the Henrys decided to get involved. Working with the City Council, Henry secured a 40-year lease and began raising funds to make Sculpture Fields at Montague Park a reality. This year marks the opening of the park, but it will be a continually evolving project. There are three phases of planned construction that include roads, berms, and multi-use facilities. Already, tens of thousands of truckloads of soil have been shipped in for landscaping, and several roads have been built. Like anchors in a fast-moving current, the sculptures that are currently on display have been placed with the knowledge that the park will continue to dynamically grow around them. 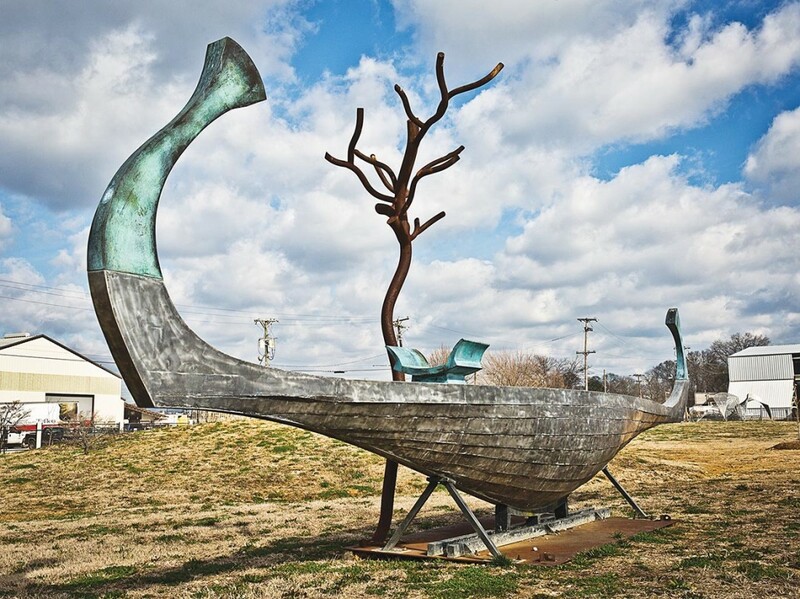 The main attraction of the park is the quality of the sculptures on site; there is nothing like this collection of outdoor sculptures in the Mid South. 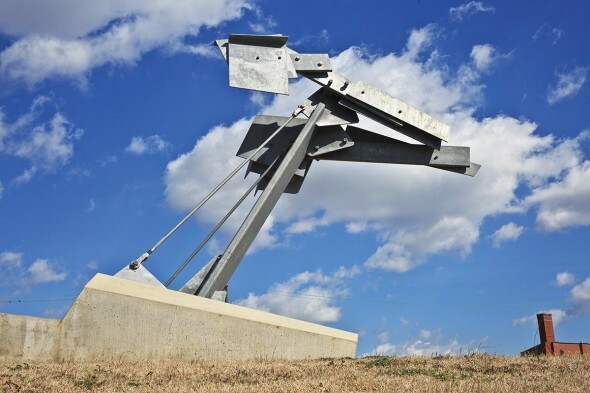 Sculptors from across the country are represented in the park and include Mark di Suvero, Linda Howard, Lyman Kipp, John Clement, Jesús Moroles, Neltje, Jane Manus, John Henry, and many others. International artists in the collection include Claus Moor, Jan Meyer-Rogge, and Heinz Aeschlimann with more artists from Europe slated to be included in the future. 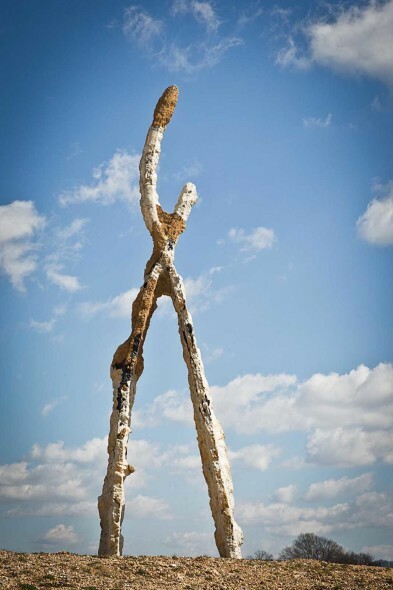 The most visible sculpture currently in the park is a 65-foot-tall concrete sculpture by Peter Lundberg of Vermont. 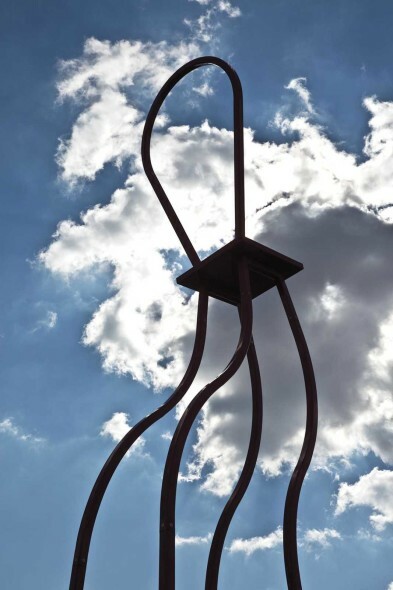 Lundberg has had international success with his unique construction technique and has exhibited his sculptures throughout the world. This piece is site-specific, made just for this park, and commemorates five fallen service members who were killed in a local tragedy. This connection to the community is what seems to drive this park—it has a history and involvement with the neighborhood, as well as an investment of time and energy towards the future. Many of the pieces are on loan from various artists, but the park is also a collecting institution. When asked about the collecting philosophy, John Henry says that there is a committee of four that oversees the acquisition process. Each sculpture is considered based on the artist’s background, record of collections, consistency, and safety. “We wanted to create a park with robust and solid artworks that will stand the test of time,” John Henry says. Though the park mostly collects established artists, there is some room in their philosophy that allows for younger or lesser known high-quality sculptors. Generally, Sculpture Fields collects and displays abstract or non-objective sculpture, but Mr. Henry says that the park is not married to any one style. Non-objective or abstract types of sculpture can be challenging to the novice because they involve a visual language that people often don’t understand right away (although, watch any child interact with this type of art and it becomes clear it’s not a knowledge issue, but more of a mindset issue). To this, the park is an education center that helps to guide the public in its understanding of art, and sculpture in particular. Following this idea, the park is free and open to the public for other activities like yoga, dog walking, or even kite flying. This multi-use facility is one of the things that makes Sculpture Fields different from other sculpture parks around the country—where often, alternative uses for the space are not encouraged. It appears to be less of a museum-type atmosphere and more of a public park that contains museum pieces. Scale of the sculpture is very important to the park philosophy as well. All the pieces currently exhibited are much larger than life-sized. Because of the scale, one is no longer just looking at the sculpture, but is suddenly ‘in’ the sculpture. It’s a little like going to a play and becoming one of the performers—it’s a collaboration between the artist and the viewer. This method of sculpture lends itself to a more active viewing experience rather than a passive one. The sculptures really do reflect Lookout Mountain, ever present and looming, yet on a scale that makes it both far away and close at the same time. The poetic geometry of the sculptures seems to perfectly bridge the gap between the surrounding Cumberland Plateau and the industrial setting of the buildings and grounds in the area. 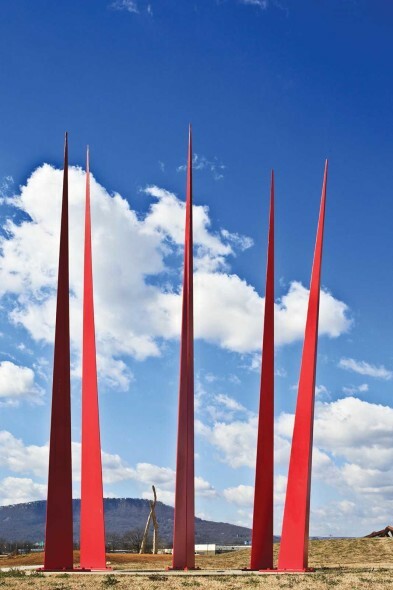 The creation of a sculpture park is no small undertaking, especially on the scale and scope of this park with its community involvement and commitment to high-quality artists. Sculpture Fields at Montague Park promises to be a stalwart of the national and international sculpture scene for many years to come. 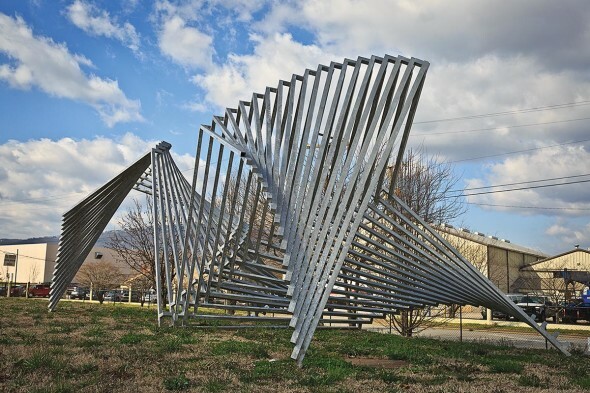 Sculpture Fields at Montague Park is located at 1100 East Sixteenth Street in Chattanooga. 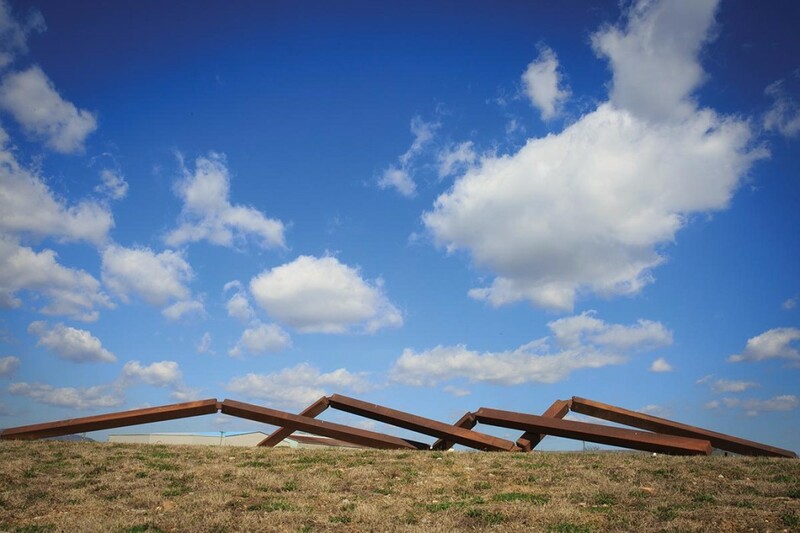 A grand opening celebration is slated for Friday, April 8, beginning at 6 p.m. For more information, visit www.sculpturefields.org.